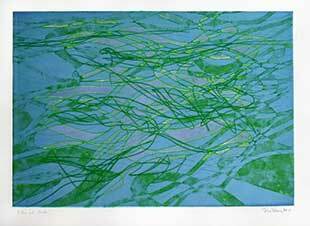 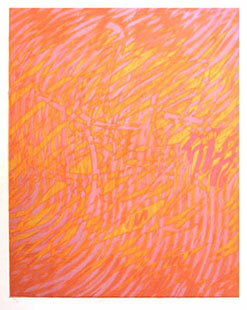 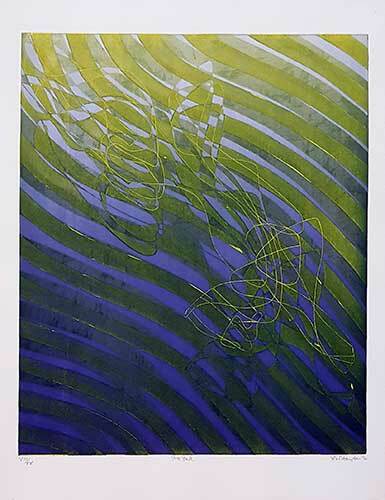 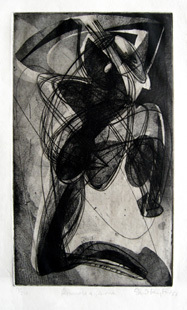 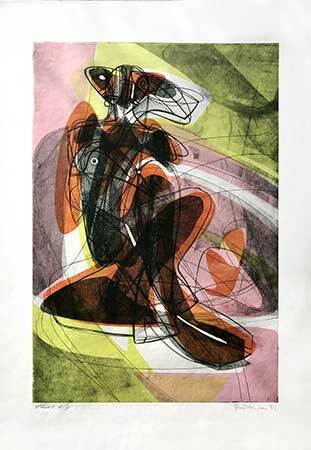 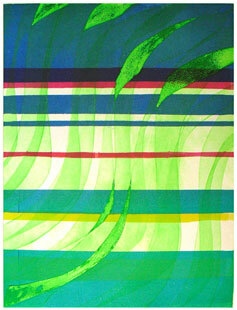 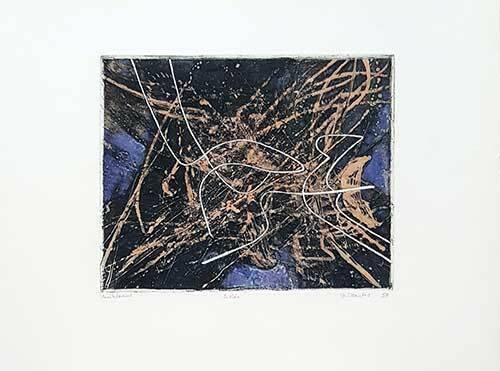 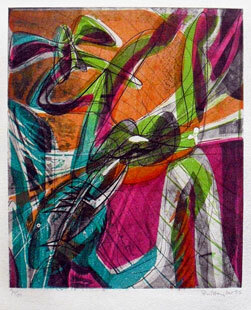 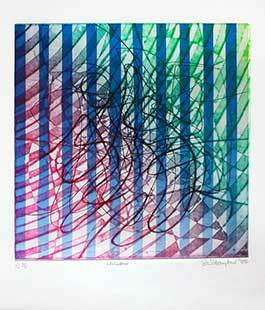 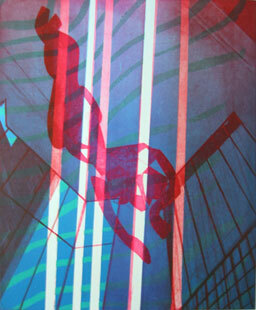 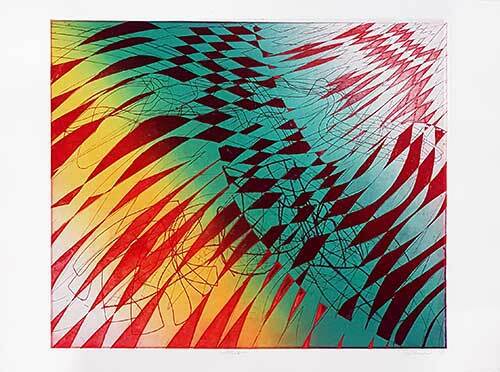 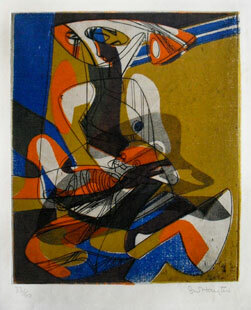 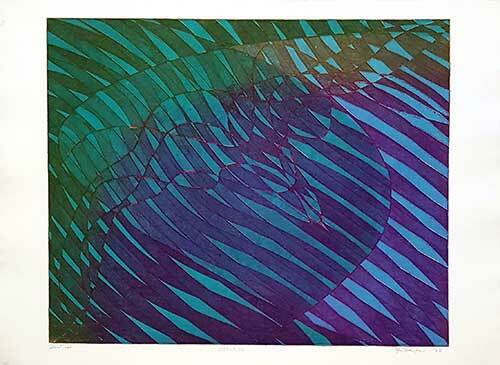 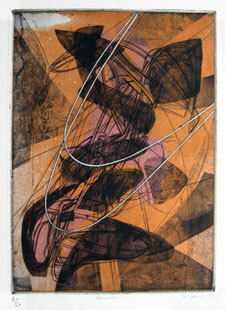 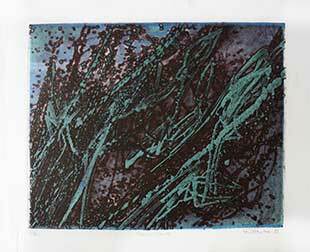 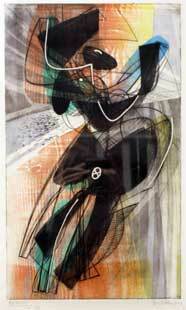 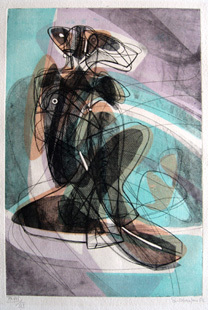 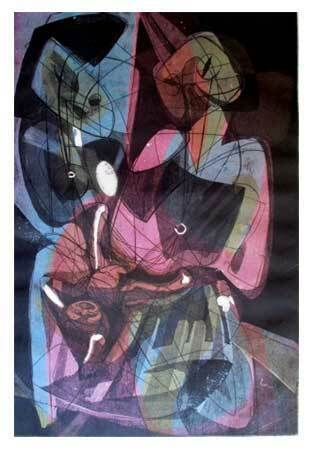 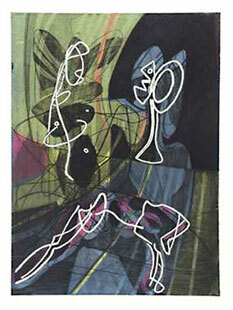 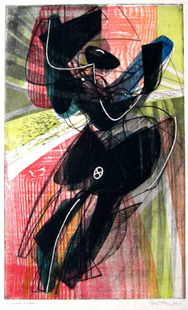 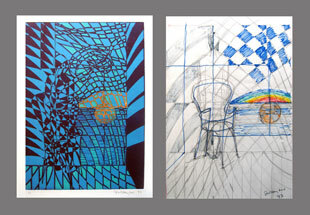 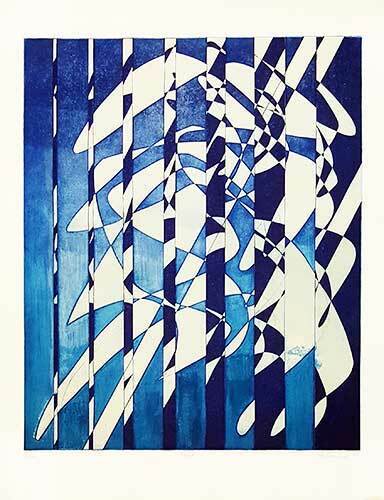 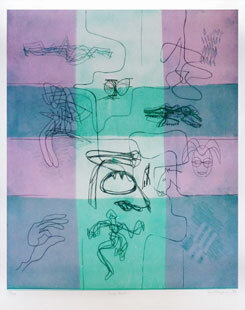 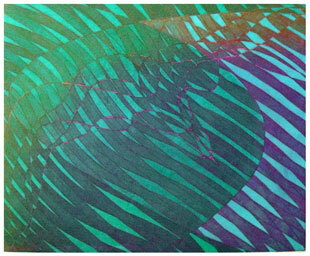 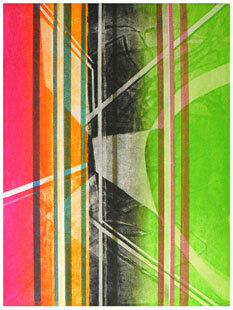 Here are the original prints handsigned (etchings and aquatints) by Stanley William Hayter that are presently for sale. 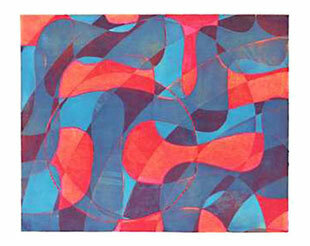 Click on the images to enlarge them. 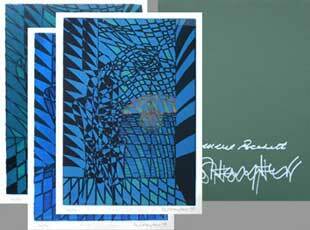 Unless otherwise specified all the prints shown on this page are signed by Hayter and are original. 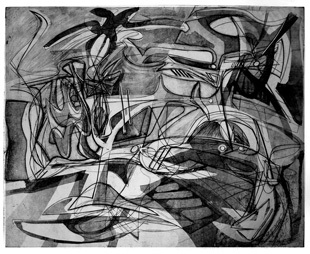 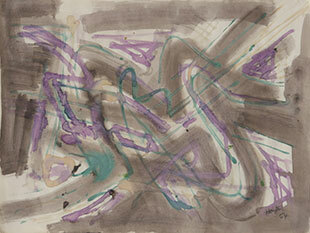 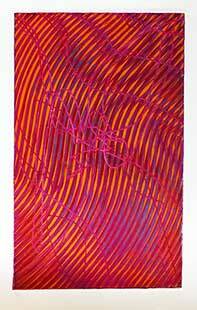 Stanley William Hayter was born in London in 1901. 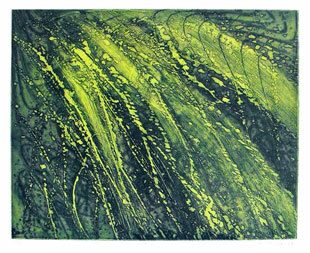 He painted his first pictures at the age of 12. 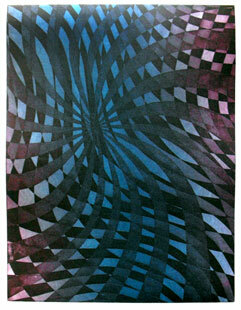 He studied Chemistry and geology, and from 1922 to 1925, worked for an Anglo - Iranian oil company. 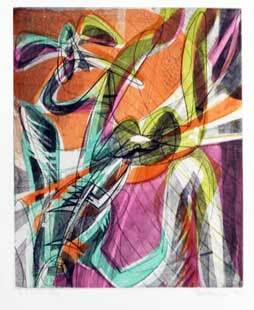 During this period, he painted the portraits of his workmates ; in 1926 Hayter decided to become an artist and left for Paris. 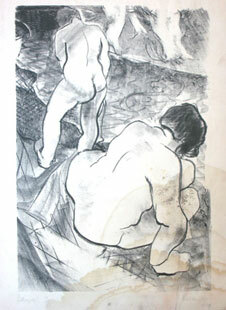 His first 3 months there were spent at the Academie Julian, where he made his first prints (dry-points and etchings). 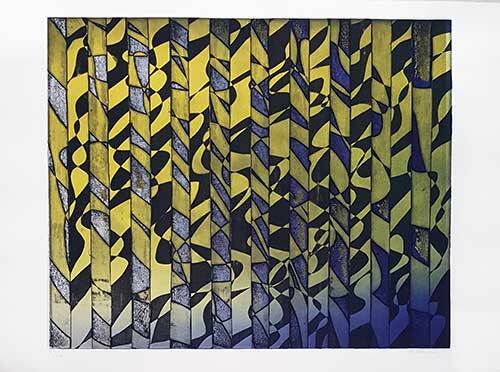 In 1927, he set up a print-studio in his home, and in 1933, moved it to N° 17 rue Campagne-Première ; hence the name "Atelier 17". 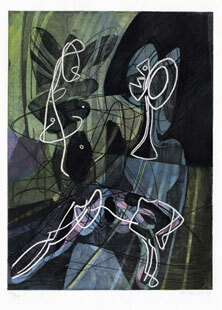 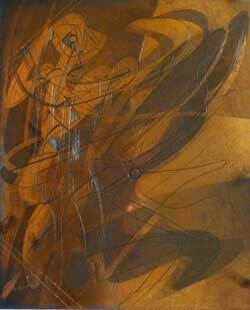 Hayter took part in the shows of the Paris Surrealist Group, and in 1934 the work of the Atelier 17 was shown in London. 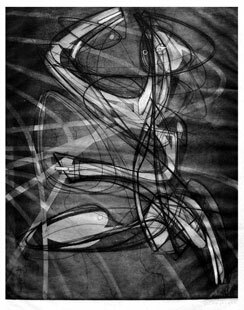 In 1939 Hayter left Paris first for London, then for the U.S., and a lot of his work was left behind in the workshop and got lost. 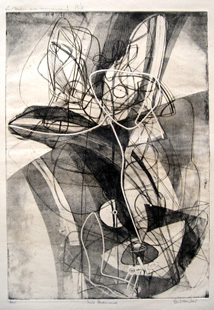 In 1940, Hayter gave courses at the New York New School for Social Research, and in 1943, was put in charge of the engraving classes at Philadelphia Print Club. 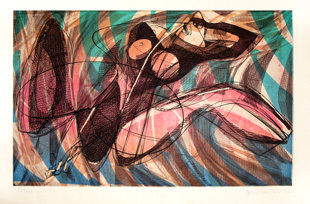 The following year was an important one for the Atelier 17, a show of its production being held at the New York Museum of Modern Art. 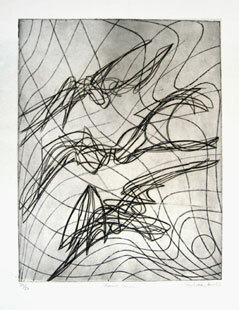 Hayter continued to give engraving and drawing lessons in the .U.S. 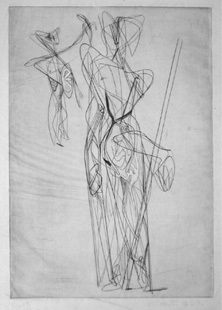 until 1950. 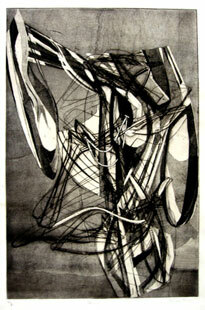 In that year Hayter returned to Paris and re-opened the Atelier 17 in the rue de Vaugirard (print). 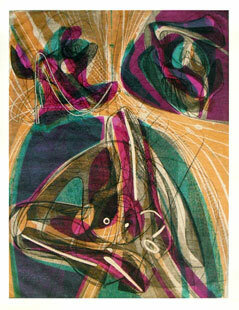 It was there that major artist such as Vieira da Silva, Miro, Picasso, Ernst, Giacometti, Alechinsky came to do engraving. 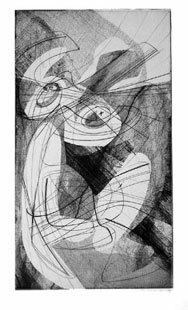 Hayter was awarded The Legion d'Honneur in 1951 ; in 1958 he represented Great Britain at the Venice Biennale, and in 1960 Hayter was awarded the International Prize at the Tokyo Biennale of Engraving. 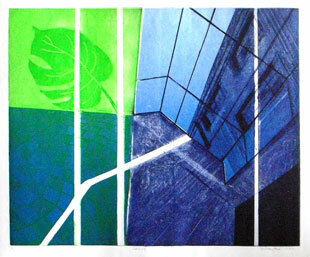 Numerous Hayter shows were held, mainly in London and the U.S. ; honours followed suit : in 1968 he was named Commandeur des Arts et des Lettres, was made Honorary Fellow at the Royal Academy, member of the Academy of Arts of Minesota University, and in 1972 Hyater was awarded the Grand Prix des Arts of the City of Paris. 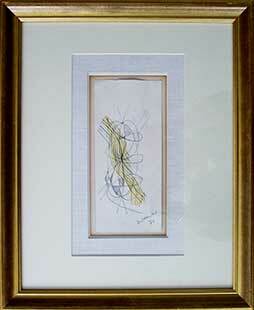 Hayter died in 1988, the British Museum buying all his graphic work the same year. 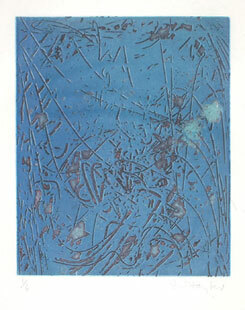 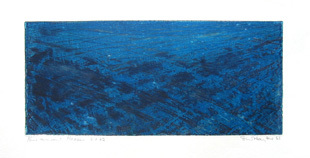 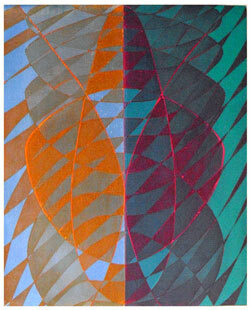 He invented the "Hayter technique print" for producing three-colour engravings in a single pressing and from one copper plate, which is given three levels. 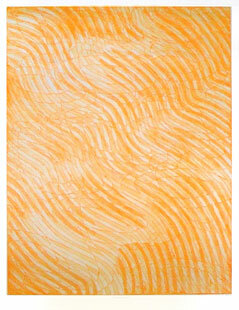 The ink must be of different viscosity, being thinned down with linseed oil. 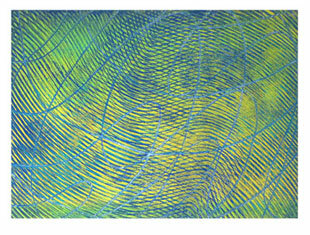 The process rests on a similar principle to that of lithograph print : the thinner inks repel the thicker ones. 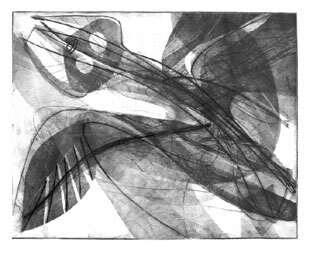 We can see in the complete graphic work of Hayter 4 great periods: (let us recall that his first etching was made in 1926). 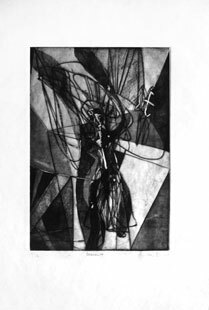 In this first period, Hayter created engravings in black, figurative until in beginning of the year 30 with in particular the book Ombres portées of 1932. 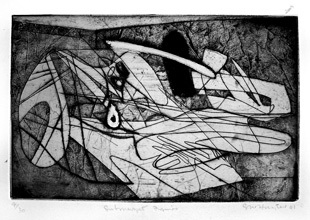 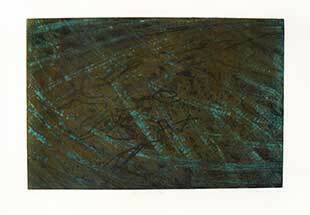 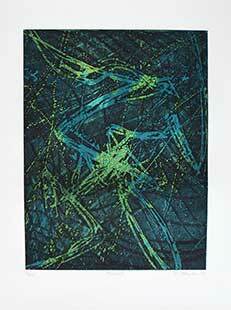 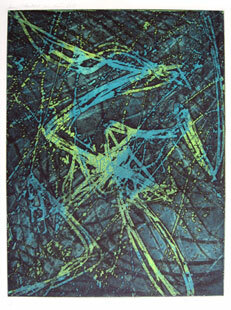 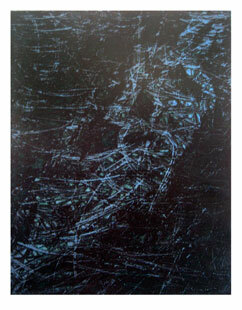 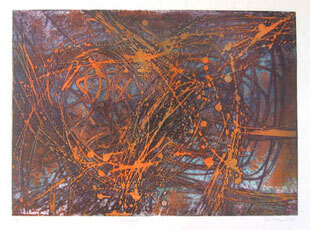 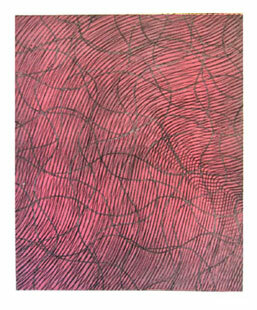 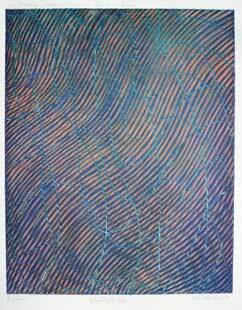 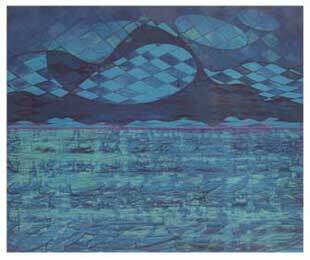 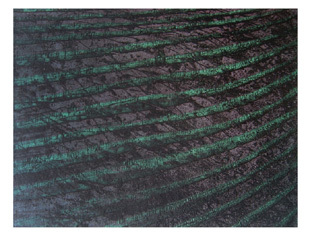 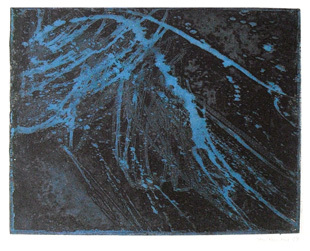 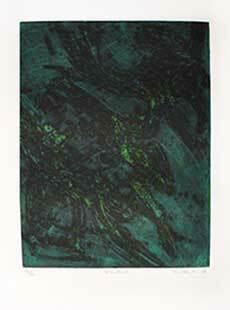 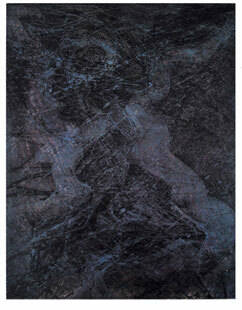 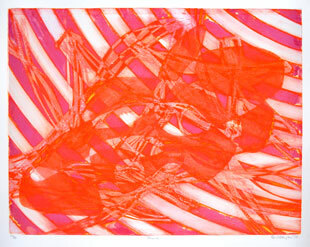 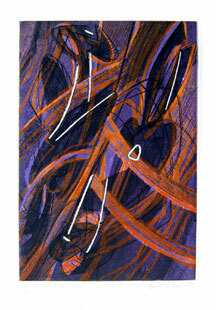 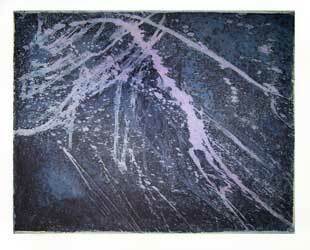 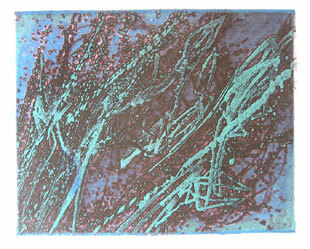 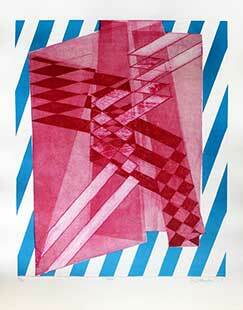 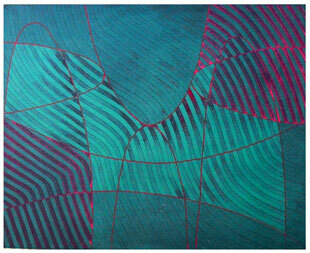 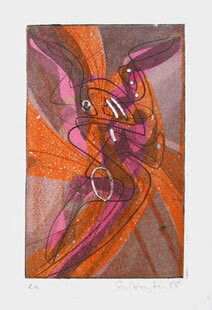 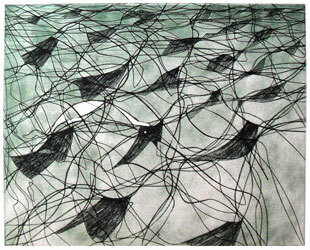 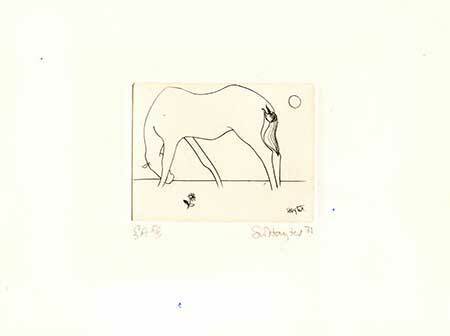 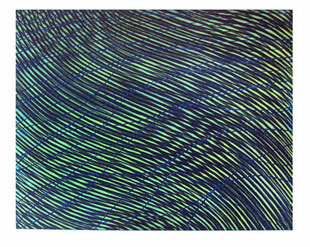 From this year, his etchings became more abstract. 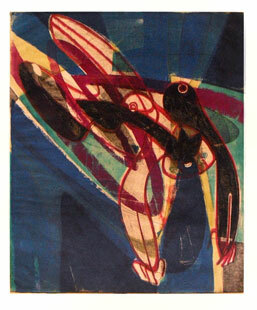 A lot of these prints produced between 1926 and 1940 are printed only at a few copies, the prevuced edition were never completed after. 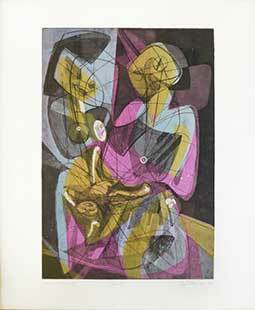 Maternity is the first eching in colors of Hayter and defines the beginning of second period which will last until 1957 - 1958. 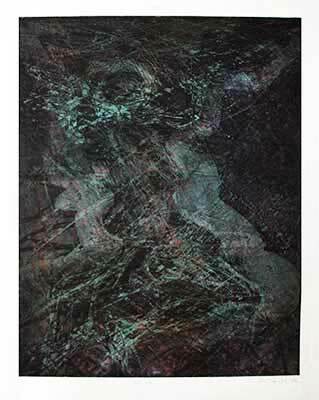 It is during these years that Hayter produced his more important etchings in colors (He doesn't stop however the etchings in black, for example Mirror of 1941, or Tropique du Cancer of 1949, on the largest copperplate ever used by the artist. 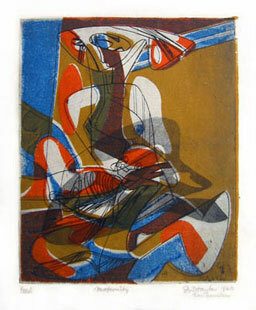 One thus finds in these years the most beautiful engravings of Hayter, the majority of them printed in colors. 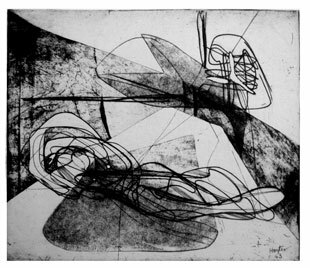 In this period, Hayter made "Cinq personnages" in 1946, “unstable woman” on the same year, Falling figure and “Cérès” of 1947, Danse du soleil of 1951, the wonderfull and important etching of 1953 Night and day , "La famille japonaise" of 1955, La noyée from this same year, or the amazing "Femme accroupie" of 1956, this last one printed at only a few copies. 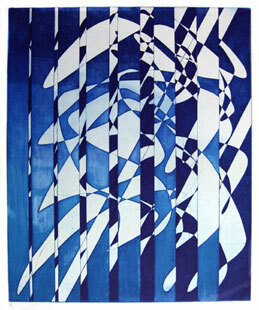 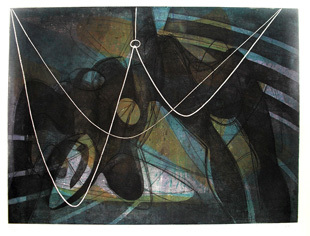 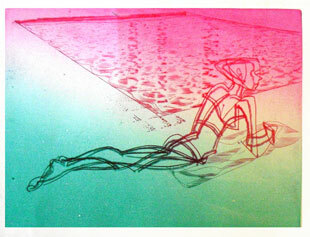 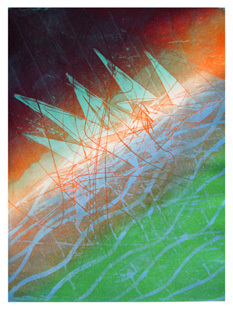 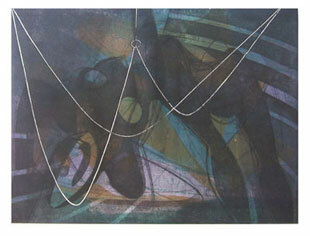 From 1957 to 1967, Hayter goes to produce a series of engravings on the topic of the sea. 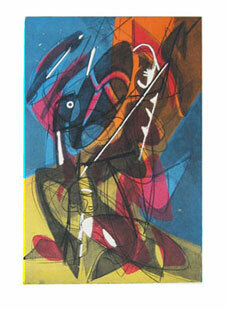 This period starts with Poisson rouge and finishes with the engraving of 1967 “Equinoxe”. 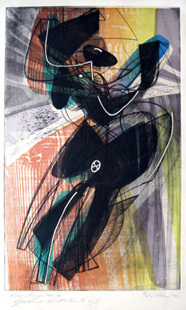 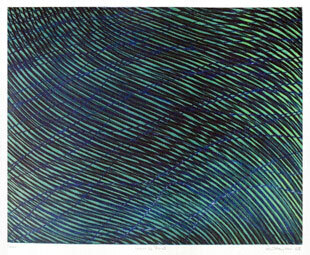 Among the most emblematic prints of this period, we can talk about “La raie”, “Sirène”, the incredible Wave of 1958, with several trial proofs for the colors in the same edition, as many engravings of this period or the previous period, Poissons volants and Confluence, or the mysterious Dérive of 1964. 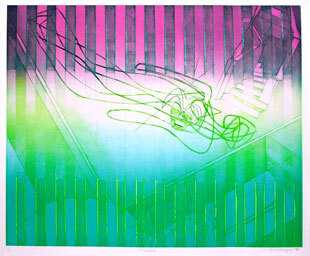 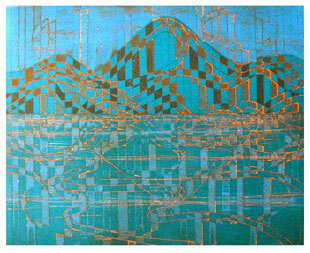 The last period of Hayter offers more coloured works, the artist knows perfectly the technique of engraving there, it is for the majority, some etchings realized with a cutting technique such as “Caragh” of 1972, “lake” of 1973, Styx or the very nice “Clairevoie” of 1974. 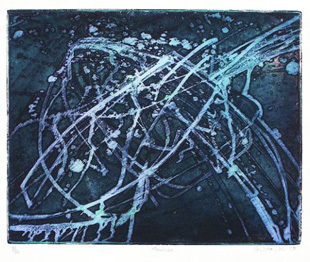 This period culminates with Fastnet, the most important etching of this last period and probably one of most beautiful of all the graphic work of the artist. 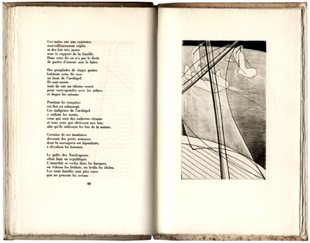 Hayter also illustrated several books : Still from Samuel Beckett with 3 original engravings, "Facile proie" from Eluard with 8 dry points, "Poèmes d'amour" by Eluard with 9 etchings and 3 lithographs, or Ombres portées of Georges Hugnet in 1932, BOOK which comprises 5 original etchings. 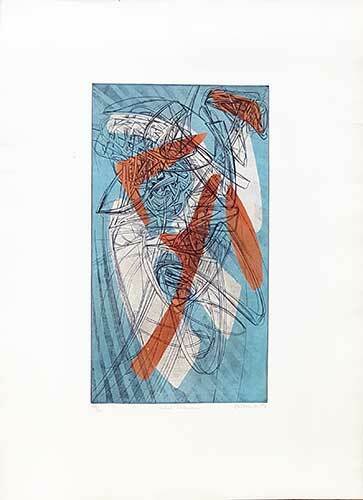 From Peter Black and Désirée Moorhead, this catalogue reproduced and descibe all the prints of Stanley William Hayter between 1926 and 1988, mostly etchings and engravings. 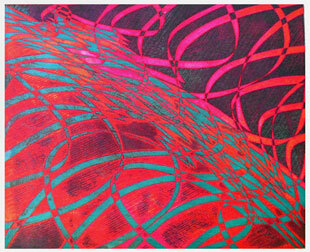 About 450 prints are here referenced. 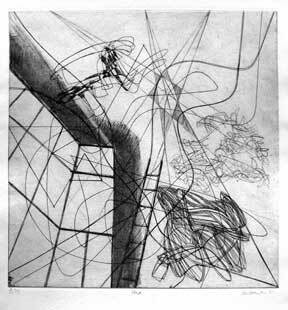 the most important prints of Hayter had been realized in the fifties as "Battle", "Couple", "L'Escoutay", "Night and day" or "Lunar landscape", etching reproduced in the cover of the catalogue. 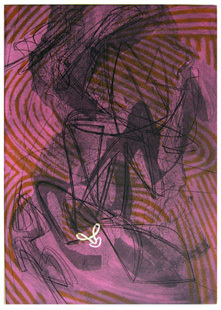 Edition Phaidon Press, 1992.